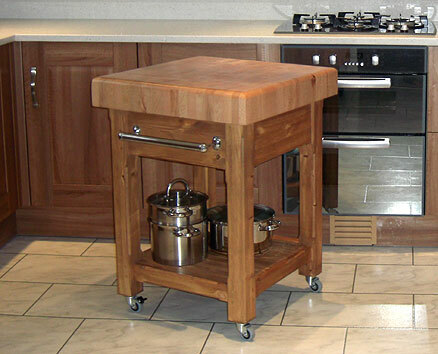 An essential feature of most modern kitchens are butcher block kitchen islands. Usually made from the sturdy and long lasting maple, butcher blocks last a long time. They are mainly used as cutting and chopping boards hence the name butcher block islands. 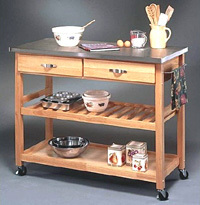 Portable kitchen islands & carts review. These units are available as a ready-to-use variant, looking like a cabinet or a table with rectangular or square shape. When using this type of kitchen island, you can’t build in appliances. You can use them mainly for storing utensils or preparing food.